Located in Middlesex County, Newton is a suburban Massachusetts city about seven miles south of Boston. It has a population of about 85,000 residents, and it has been ranked among the best cities to live in the country. As one of America's earliest commuter cities, it is served by light rail, bus, and commuter rail. The city was settled in 1630, and suburbanization happened in waves, starting in 1834. Today, most residents also work in Newton or surrounding cities. Among the historical sites there are Crystal Lake, Jackson Homestead, and Bullough's Pond. Whether you are pursuing a workers’ compensation claim or entering into a real estate transaction in the Newton area, the lawyers at Pulgini & Norton can offer representation. In 2011, the Massachusetts Supreme Judicial Court held that an attorney must be present at real estate closings and actively participate in the transaction before the closing. The requisite lawyer cannot be someone who knows nothing about the transaction. It is in the best interests of both the buyer and seller to have their own attorneys participate in the negotiations and the closing. Sellers of homes in Massachusetts may not make deceitful or affirmative misrepresentations. Unlike some other states, they do not need to voluntarily disclose defects or suspected defects to a prospective buyer, although they do have to disclose the existence of lead paint. A real estate broker is required to disclose any fact that may influence a prospective buyer not to enter into the real estate transaction. In most cases, buyers should retain a licensed home inspector. Most home inspections are primarily visual. Inspectors will not necessarily be able to observe mold or a structural defect. If water intrusion or framing issues are observed, a buyer may need to hire an inspector with expertise in the relevant issues. While retaining a workers' compensation attorney is not mandatory in Massachusetts, it is advisable. Workers' compensation is a no-fault system. Although all private employers are required to have this type of insurance for their employees, many insurers are skeptical of claims and resist providing the full amount of benefits that are required after a workplace injury. If your employer has broken the law and does not have workers’ compensation insurance, you may be covered by the Workers' Compensation Trust Fund, managed by the Department of Industrial Accidents. Under this area of law, the insurer should pay all your medical costs. If you cannot work for five or more calendar days, you can also get lost pay benefits. If you suffer a temporary disability, you can get a weekly payment of up to 60% of your average weekly wage for temporary disability. There is a time limit to how long you can be considered temporarily disabled. You can also get permanent and total disability benefits if you are permanently and totally disabled, but the insurer may challenge the severity of your disability. Permanent and total disability payments are equal to two-thirds of your average weekly wage, up to a state maximum. Property transactions and work injury claims often require the advice of a knowledgeable lawyer. 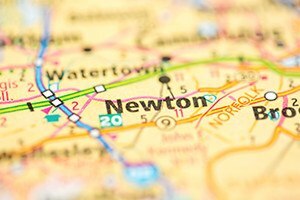 The Newton attorneys at Pulgini & Norton are experienced real estate and workers’ compensation advocates for people who are buying or selling their homes, as well as individuals suffering from job-related injuries, such as carpal tunnel syndrome, broken bones, PTSD, or toxic chemical exposure. Call us at 781-843-2200 or contact us via our online form for a consultation.